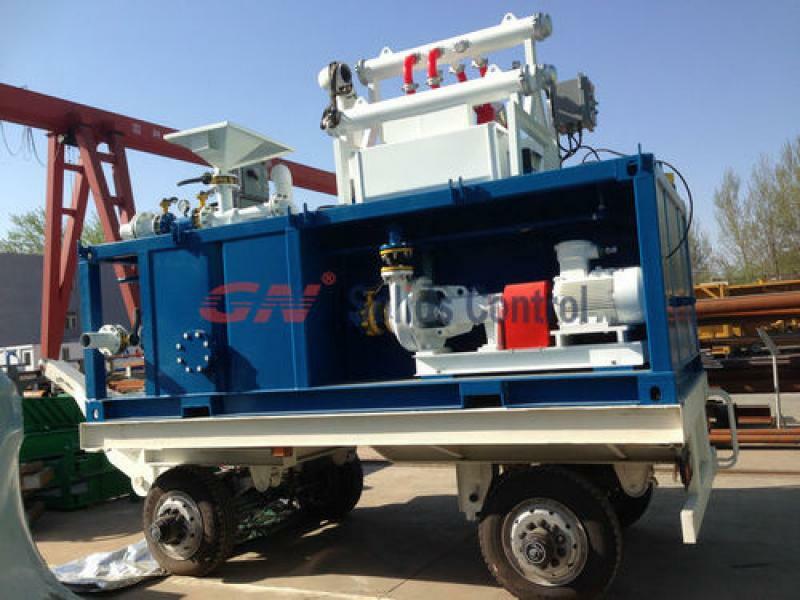 GN standard 200GPM mobile mud system unit is specially designed for borehole drilling and water well drilling in Africa market. The system is compact in footprint and can deal with capacity vary from 100GPM to 200GPM. Groundwater is generally a readily available source of water throughout Africa. However, high borehole construction costs are slowing progress on increased access. Higher costs are largely a result of using with specifications that are greater than those required for the vast majority of boreholes needed in Africa. Using high cost machinery and support equipment leads to high borehole costs, which in turn results in fewer boreholes being drilled. The smaller volume of work per drilling rig creates inefficiencies in equipment usage, and results in increased overheads, driving up costs dramatically. 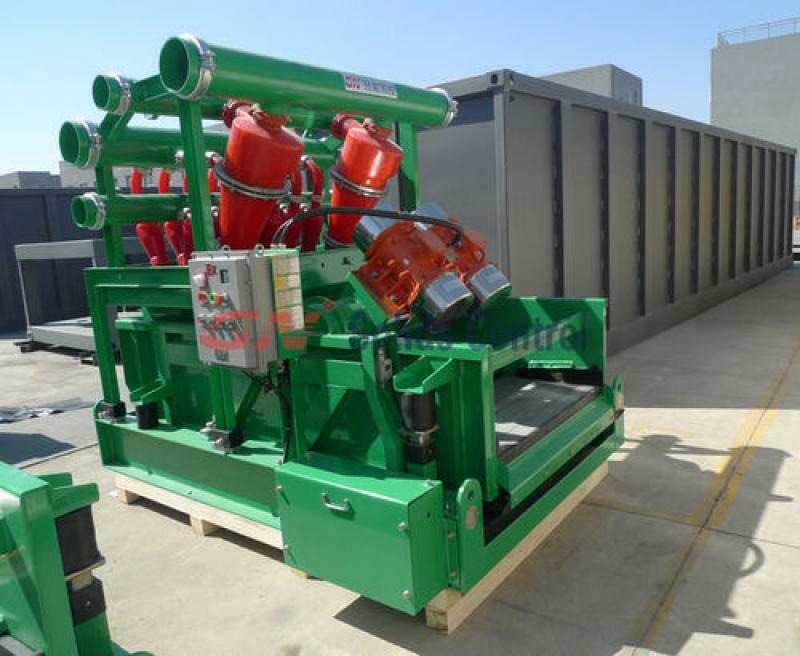 GN 200 GPM water well drilling mud system is matched with a 3 panel double deck shale shaker with mud desilter, it is compact in design and highly cost effective. The water well drilling contractor, they can buy such a mud system for there own water well drilling rig, as well as offer rental service to other drilling contractor. 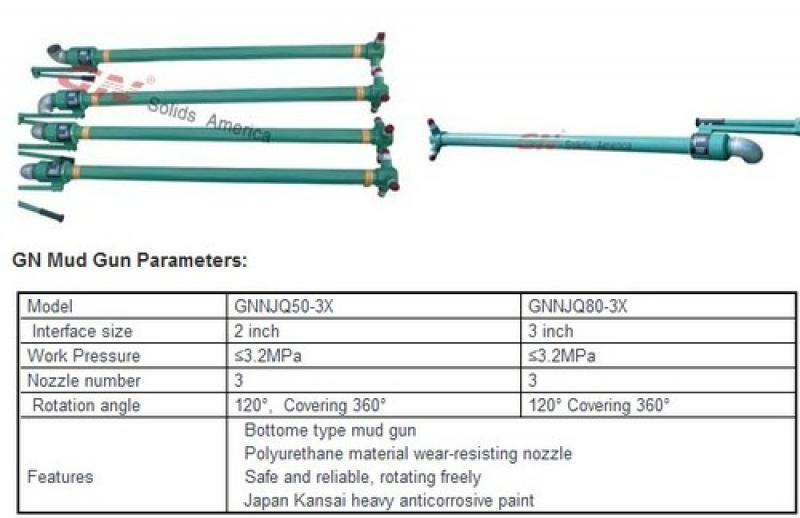 GN200GPM water well drilling mud system can be mounted on a trailer skids for fast movement, especially at jobsite where many water well or borehole should be drilled. After finished drilling a water well, the mud system can be moved fast to another jobsite, no need any lifting device. Users only need to find a trailer head and a man connect the trailer with the trailer head. For futher saving cost, GN Solids Control usually suggest the customer to source the trailer skid locally, GN can offer customized tank dimension to suit for user’s trailer skid. 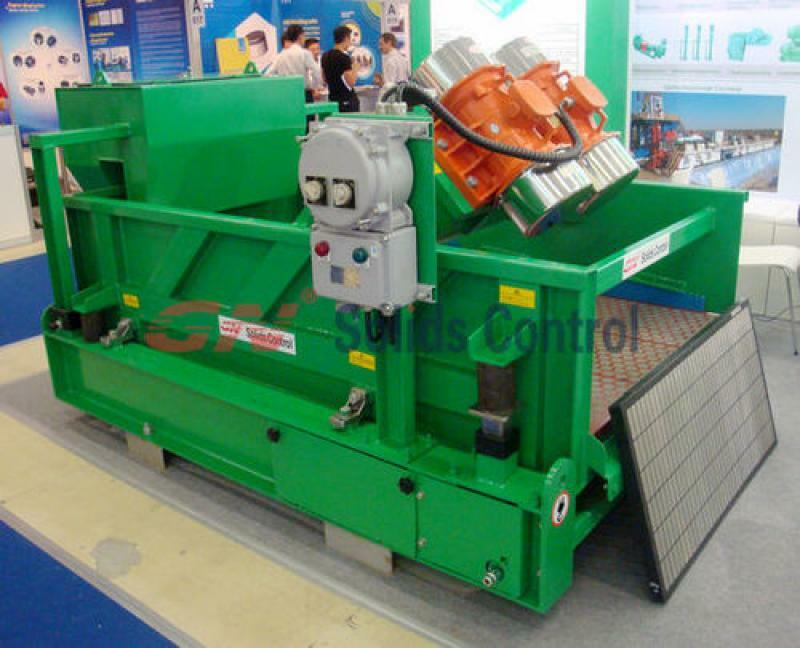 Shale shaker is the first stage solids control equipment. Sealing rubber is used between shale deck and shaker screen. It plays a very important part for shale shaker performance. A better quality sealing rubber can enable a longer life time of shale shaker and can great reduce the quantity of replacement shaker screen. 1) Shale shaker is a screening device adjust high vibrating strength to separate bigger particals from drilling fluids. Good quality Sealing rubber can reduce the friction of shale shaker deck and the shaker screen, and provented the shaker from damage. 2) What will happen if there isn’t sealing rubber? If there isn’t screen rubber or it is damaged, the screen frame will touch with shaker deck directly, which will be damaged in a very short time. 3) The worse condition is the dirty mud with many junks from well will fall into mud system directly. It needs the higher treating capacity of the next step equipment. Otherwise it may make damage to the next step solids control equipment, or even worse, it may block mud pump and make stop of the drilling rig. 4) If the sealing of the rubber is not good enough, its anti-corrosion not good enough, it will be broken easily under high temperature drilling mud, and the shaker screen will be damaged very quickly. In some countires, like in China, Kuwait,Oman, U.S. , Canada, Australia, etc…, shale shaker is usually the only solids control equipment in a mud system. 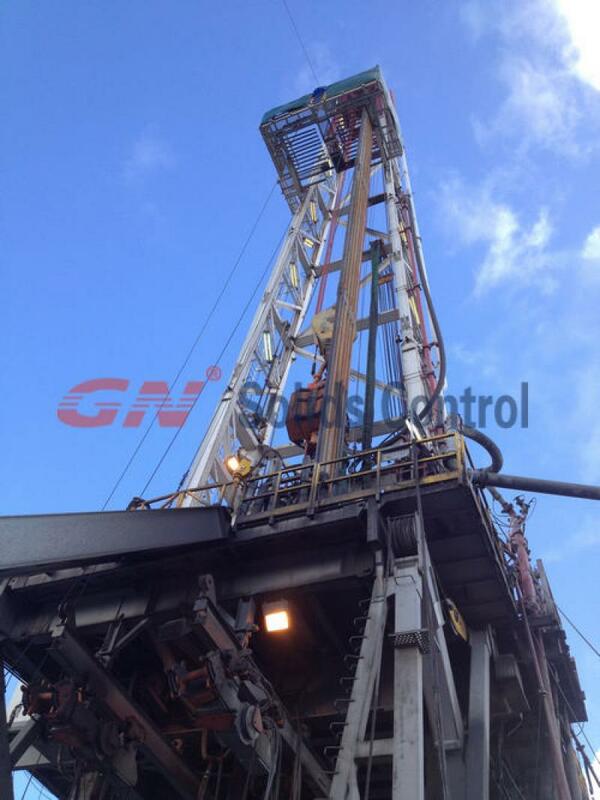 Drilling fluids only treated by shale shaker, then back to mud system for drilling again. In this case, it requrests a high standard for the reliability of shale shaker performance. 1500HP land drilling rig usually match 2000bbls mud system. The mud system will have complete full 4 stages solids control equipment and with 5 steps separation process. 3) Vacuum degasser GNZCQ360 to remove gas from drilling mud before enters into mud cleaner desander / desilter cone. One decanter centrifuge GNLW452S in middle speed for barite recovery. Another decanter centrifuge GNLW363 in high speed to separate the low gravity mud. 5) Jet mud mixing & shearing mixing system, with GN high efficiency centrifugal pump and shear pump for chemical shearing and mixing. Mud gun is usually matched with mud agitator, used to agitating tank corner where the mud agitator cannot work to, and to clean the tank coner. In some cases, Mud gun also used for small tanks no extra space for mud agitator. 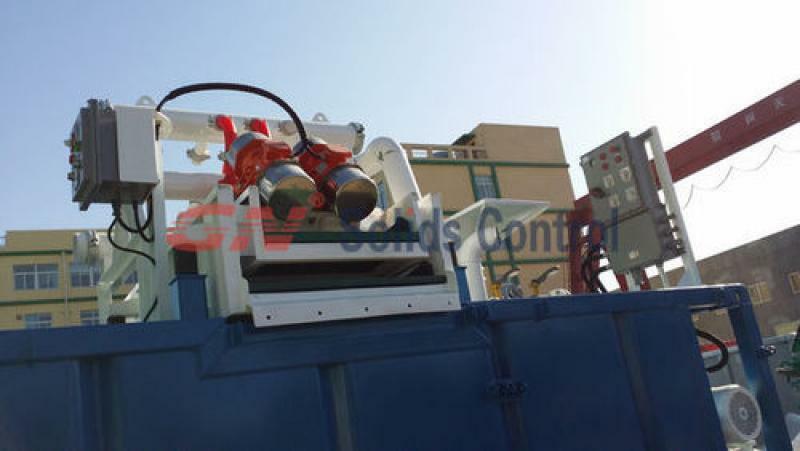 GN Solids Control make 3 nozzle mud gun to cover the 360º tank corner. GN is a API certificated company, all its manufacturing per API standard. 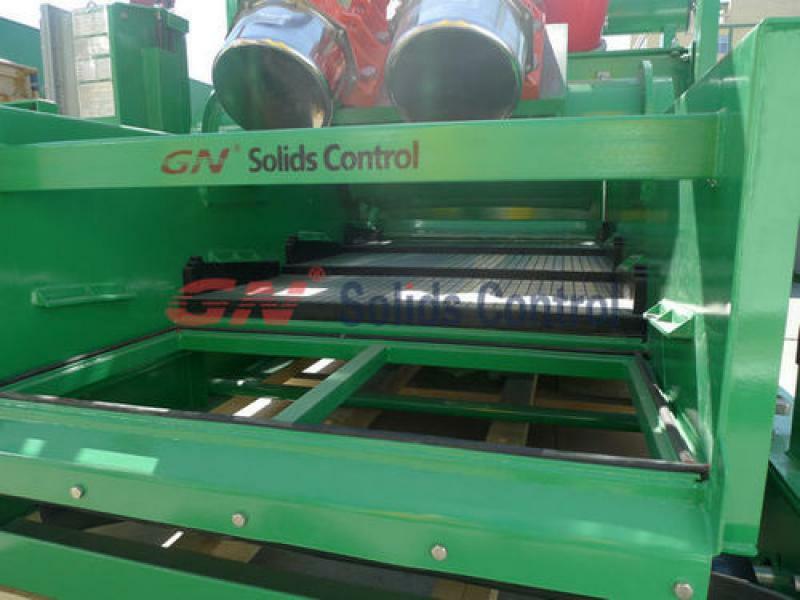 GN Solids America is the first USA based Solids Control Company from China. Its headquarter located in U.S. Houston, in Oil Center City, Houston, Texas. The solids control company GN Solids America with its own warehouse very near to Derrick and Kemtron. There are high quality decanter centrifuge, shale shaker and replacement shaker screen stock in Houston warehouse for fast delivery. 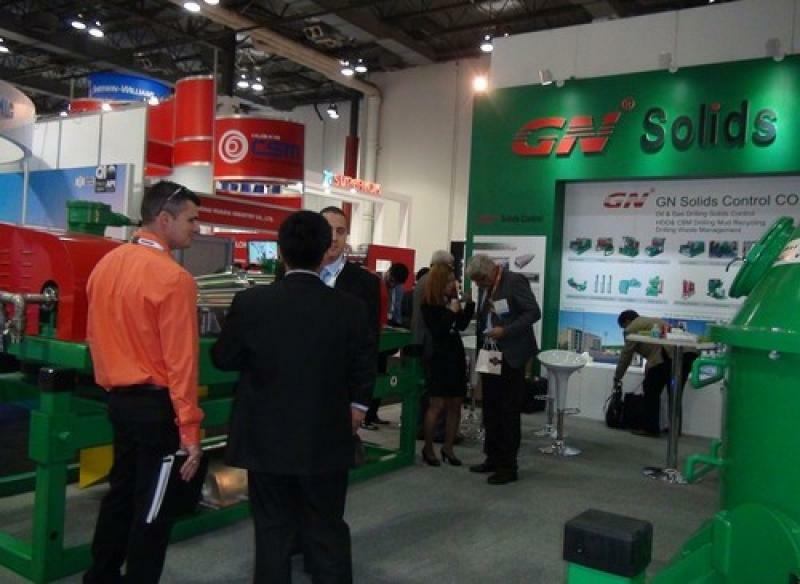 If you have interest, please contact GN or visit GN warehouse in Houston for more information of their solids control equipment.